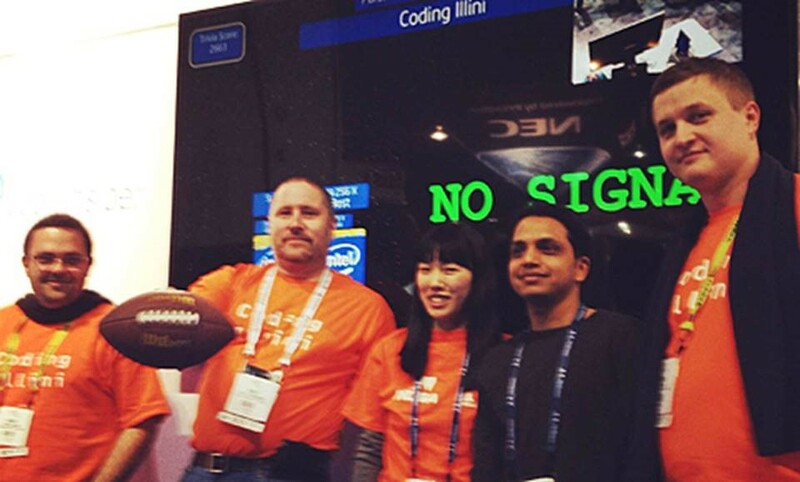 Can the Coding Illini Return to the Parallel Universe Computing Challenge Finals Again? Mike Bernhardt is the Community Evangelist for Intel’s Technical Computing Group. When the Gaussian Elimination Squad from Germany indicated their interest in defending their 2013 Intel Parallel Universe Computing Challenge (PUCC) championship title, little did they know the first team to respond would be the one they faced in last year’s finals, the Coding Illini. The Coding Illini will represent the National Center for Supercomputing Applications (NCSA) and the University of Illinois at Urbana–Champaign. Similar to the inaugural PUCC held at SC13, the 2014 challenge will include an entertaining supercomputing trivia round followed by a parallel computing code challenge live and on stage in the Intel booth at SC14 in New Orleans. Teams from around the globe are expected to take part in the challenge again this year and may submit a PUCC interest form to express their desire to participate. The 2013 Coding Illini included (left to right): Omar Padron (NCSA research programmer and a member of the Science and Engineering Applications Support team), Mike Showerman (team captain), Xiang Ni (computer science PhD student), Nikhil Jain (Computer Science PhD student), and Andriy Kot (A post-doctoral research associate at NCSA).